I'm definitely getting into the groove of my Daily Life Project. This week's page came together very quickly. I don't know if it was the template or the beautiful kit. This Week: You would find Kyla doing her school work by the glass sliding door because Lu Moo was resting there. You would also find Lydia doing her "Bible Study"...that’s what she called it. Although I’m pretty sure she was reciting "Brown Bear, Brown Bear, What Do You See" while she was studying it. You would also find Lydia roller skating for the very first time at our homeschool co-op night. Daddy & I got a good work out that night trying to help her. You would also find a not so common sight of me having a day to work. Daddy gave me a day off so that I could get caught up on digi-business....I’m pretty sure he had a ton of fun doing school with the girls. Then you would find us having a nice, relaxing Saturday breakfast with Lydia sitting at the counter, also a first. She’s growing up. She now has a place at the counter. Then we had a movie night on Saturday and watched Mary Poppins. Why have we waited so long to watch this movie with the girls? It was a huge hit and brought back a ton of memories for me. 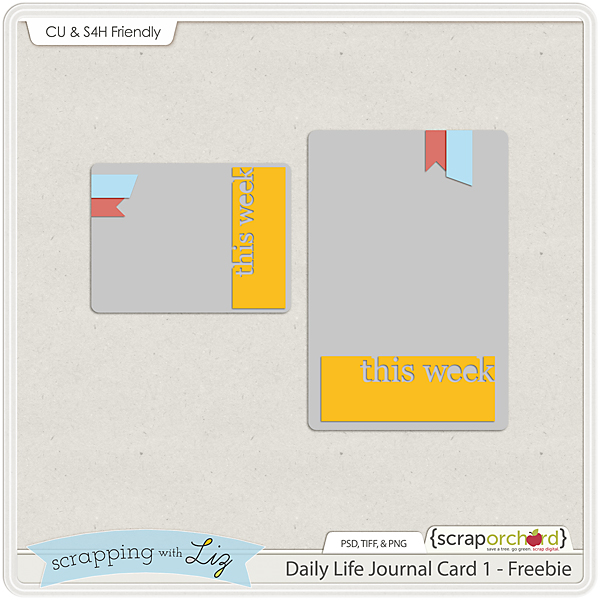 Here's this week's journal card freebie. I hope you are enjoying them. Just click the image to download. 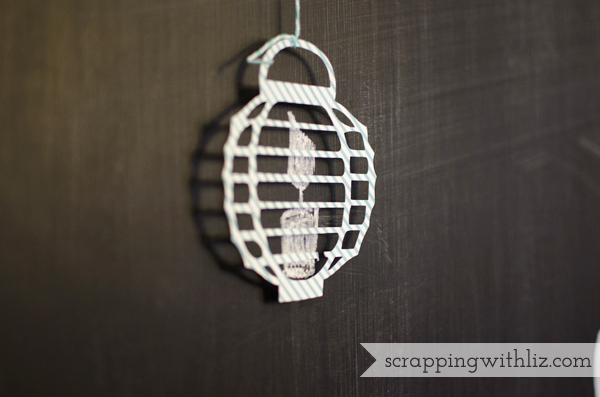 Have you been keeping up with your 2014 scrapping goals? 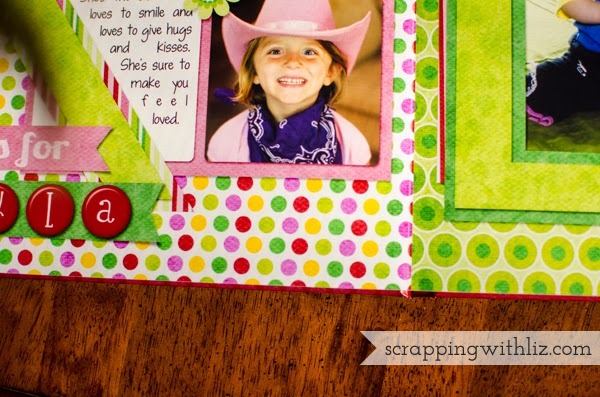 It's about that time of the month where I show you my latest scrapbook pages. This is always a fun post for me because it helps me see what I have accomplished over the last month or so....when I often feel so behind. 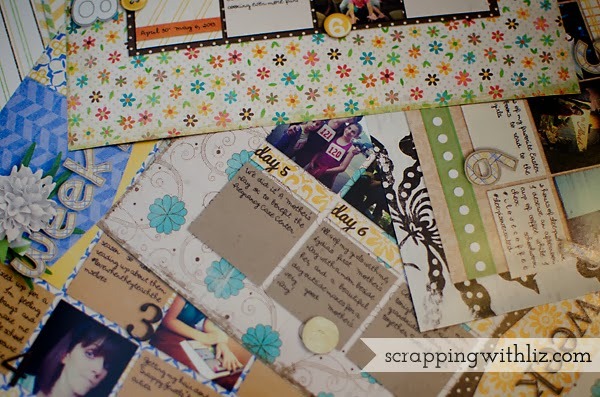 These are in addition to my Daily Life pages that I've been scrapping every week. With those and these I have scrapped over 15 pages this month. Not too bad. I've been working really hard to finish up my 2012 book. So all of these pages are pictures from October and November of 2012. 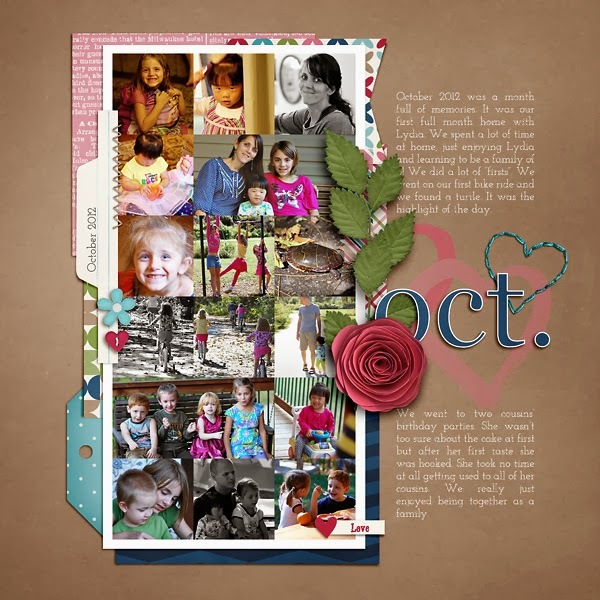 Ummm....I just took a look at my 2012 scrapbook page folder, and I have 21 pages for October 2012! I'm going to attribute it to the fact that it was Lydia's first month home with us, and we did take a trip to Florida. I usually try to pick out just my favorite pictures but it was just so hard! So many great memories made that first month home. This first one here is a monthly review page....like I said I just had too many photos from that first month home to scrap. There you have it. 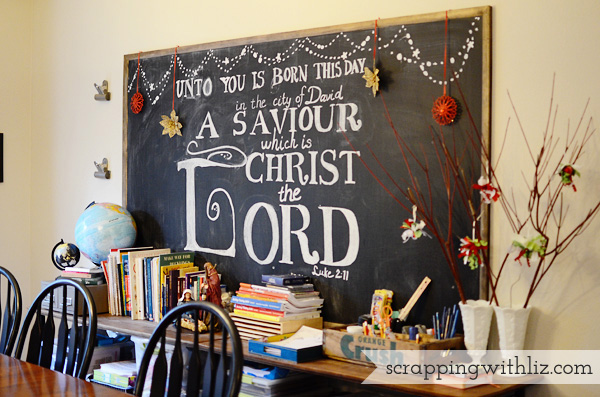 My goal for February is to get November and December 2012 scrapped. I'll let you know at the end of next month if that has happened. 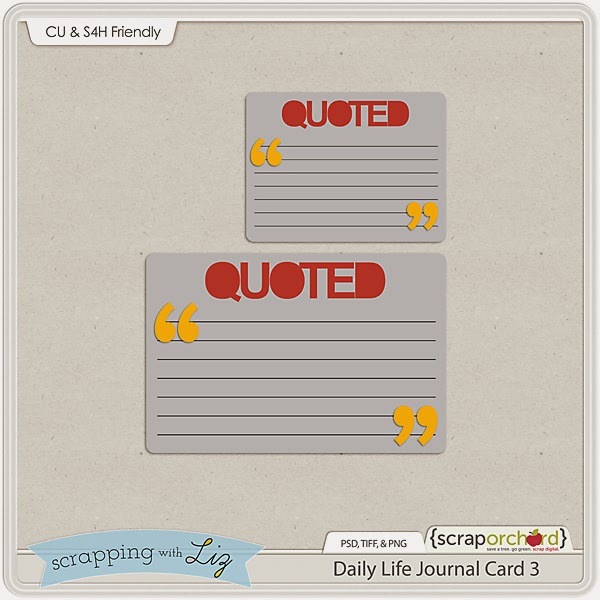 Read the journaling below (if you so desire), and then go grab this week's journal card template freebie. Let’s see if I can recap this week in one short paragraph. Lydia had her first ever gymnastics class. Adorable! Her and I are doing a Mommy and Me Class. It’s great to have 45 minutes just with her. Her sisters get to watch on the side lines. They were supposed to do some school work and then eat their lunch....not sure that much school work got done as they wanted to watch Lydia’s every move. She was just too cute not to watch. I don’t blame them. Then we had gym day at the rec center with our co-op group. 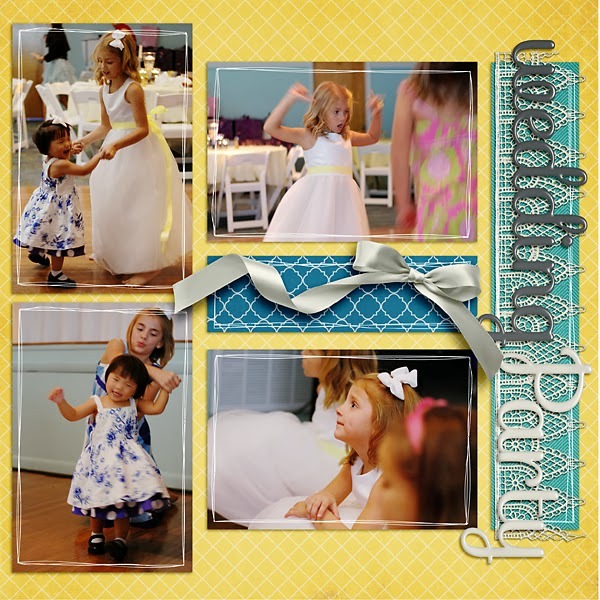 Lots of kids = lots of fun! 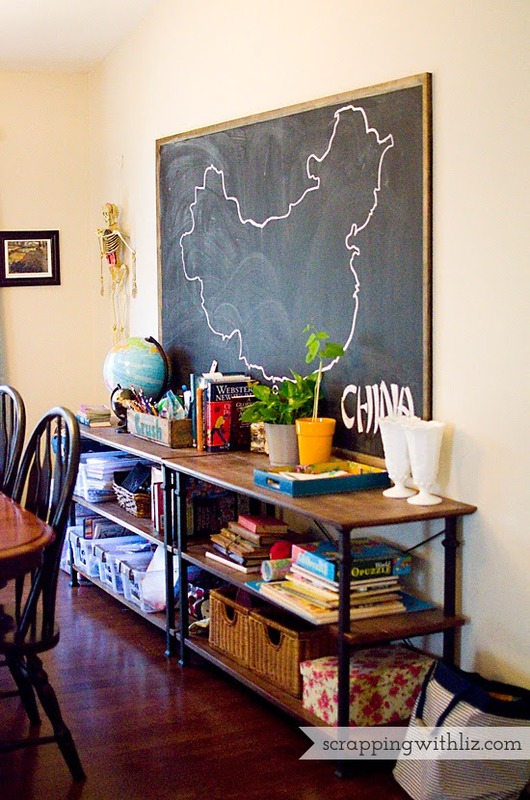 Just for the record I snapped a picture of what our living room typically looks like while we are doing “schoolwork”. You can imagine with a 3 year old how it can quickly get messy. I got a break from the mess & Shawn and I got to go out on a date Saturday night. All I had was my phone, and all I got was this picture of Shawn conversing with his piece of bread...at least that’s what the picture looks like. Actually, I’m pretty sure he was just telling me to hurry up and take a picture! I usually read a story to Lydia right before bedtime, but she wanted to read to me. She has several books memorized. She’s a smarty. We recently acquired a Matryoshka doll. It is THE most popular toy in our house. All, except the oldest (I think maybe she’s too cool), love to play with it. I’ve had to put it away several times due to fights over it. Then this last picture was taken at game night at church. Look at all of those “grown up” kids...surely two of them can’t be mine. 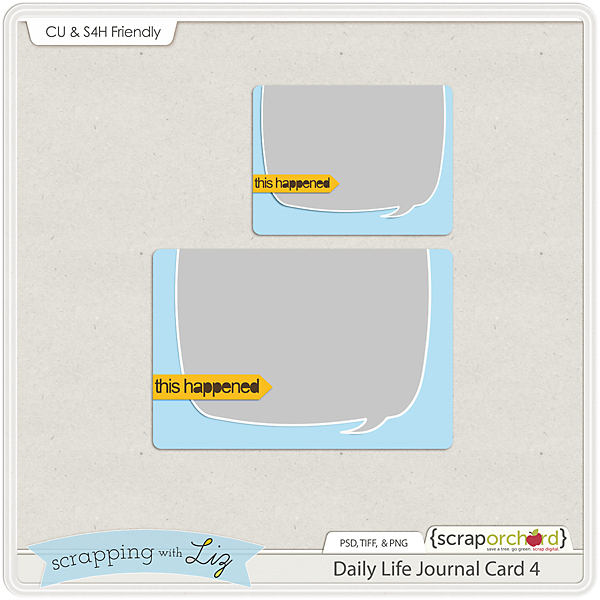 As you can see I didn't include this journal card on my page...although with all of that journaling I probably could have fit it on there somewhere. 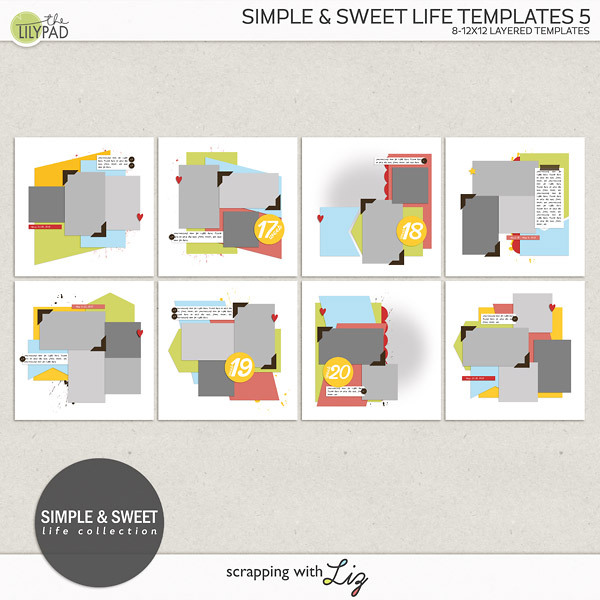 Just click on the image to download the freebie. How are you all doing on your weekly/daily/monthly challenges? 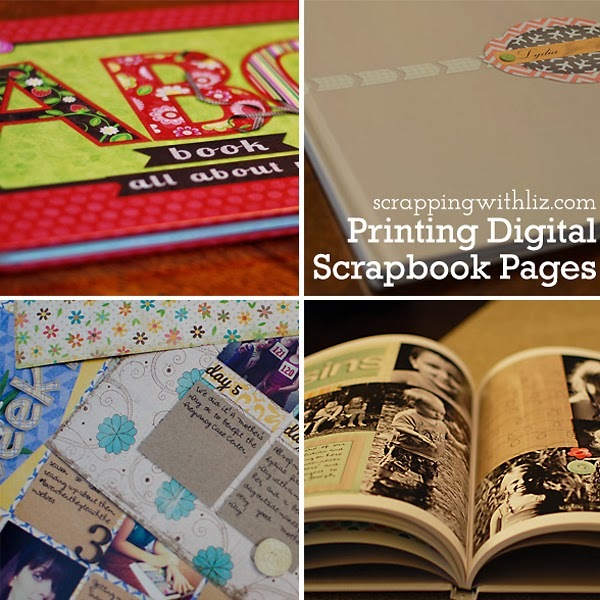 A few of you have asked me how I print my digital scrapbook pages. I print a few different ways. 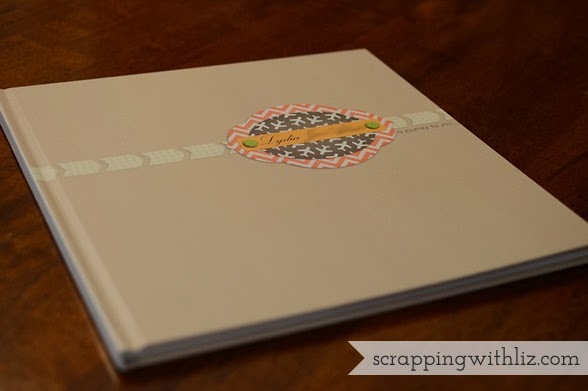 I've printed individual pages and slid the pages into traditional scrapbook albums. 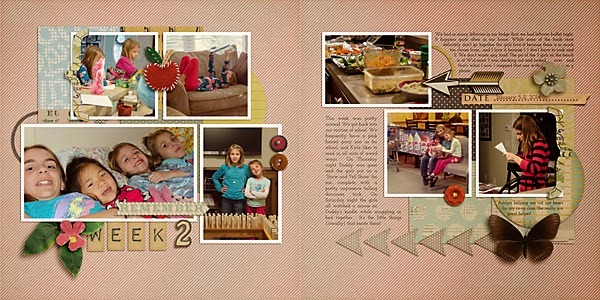 I've printed lay flat books, and then I've printed just a typical scrapbook photo album. I use Persnickety Prints for my individual pages. 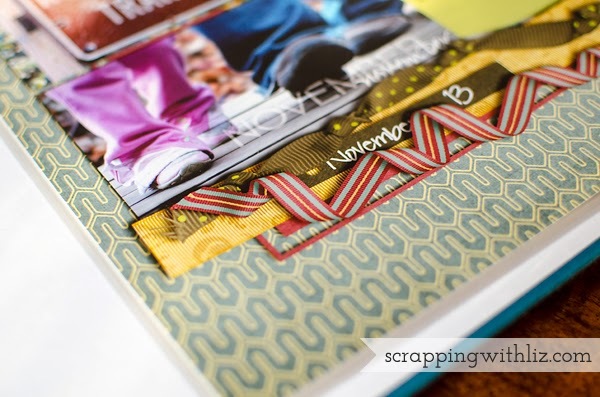 I use AdoramaPix for my lay flat books and I use Blurb for my typical scrapbook. I really love all of these options, and I've chosen different books for different reasons. I don't think I could choose a favorite! I'm going to quickly go over each. Here's one of the Blurb books I had printed. It's a 12x12 book with over 100 pages. Look how slim it is! It fits nicely on my bookshelf without taking up lots of space. Here's what the inside looks like. 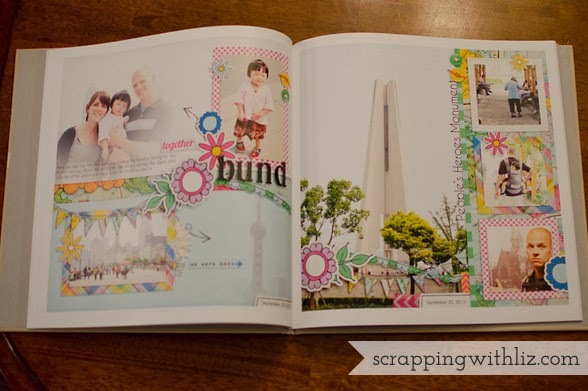 I choose to have the white border around each page so I don't have to worry about losing anything (with bleed and trimming) on the edges of my scrapbook pages. 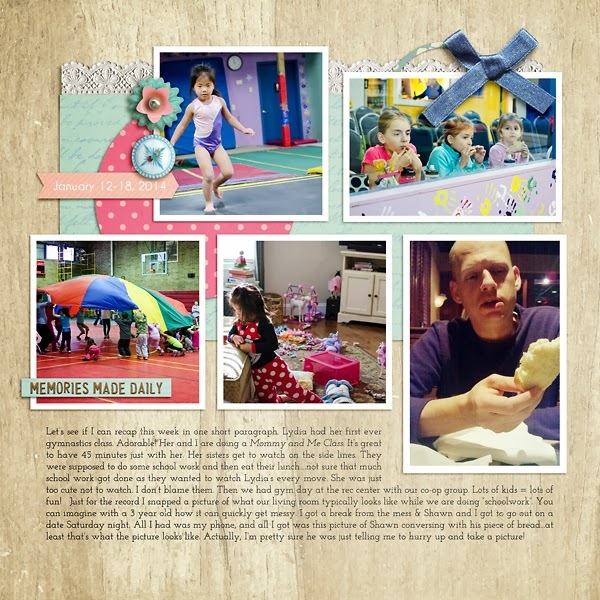 Here's a review on my first Blurb book. 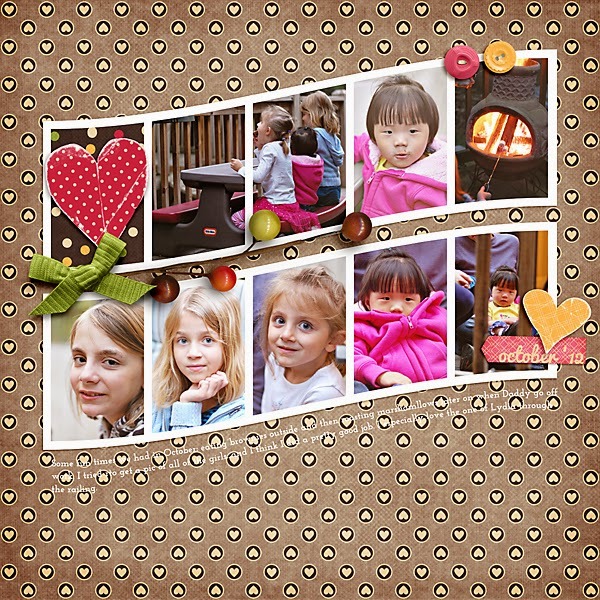 This is a lay flat book from AdoramaPix. This was a 10x10 book with about 27 pages. It's definitely a little bit bulkier than the Blurb book. 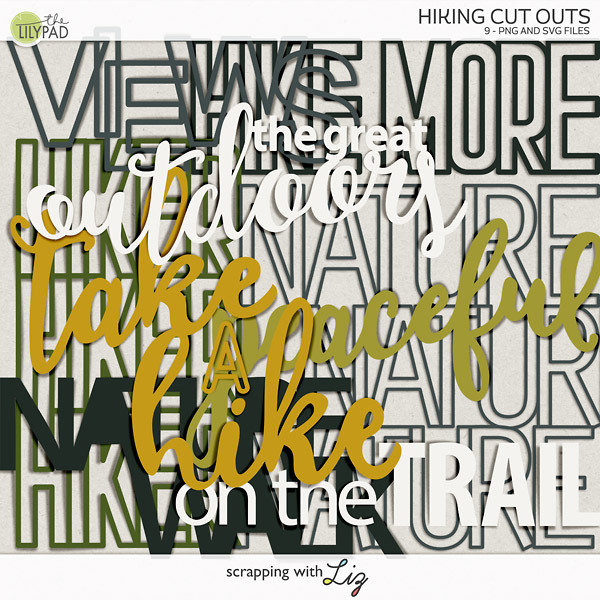 It's tougher than the Blurb book, and it will definitely stand up to some wear and tear. I've printed two lay flat books. I usually save them for smaller, more special albums since they are a little bulkier and a little bit more expensive. Plus the page limit on these lay flat books doesn't usually fit my 100+ page yearly albums. 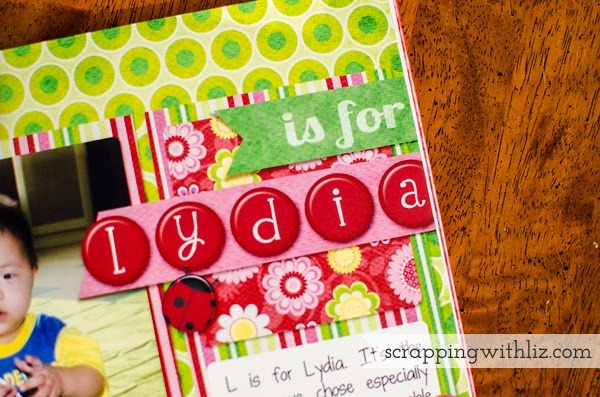 Since it's a lay flat book you don't have to worry about losing anything in the gutter (where the fold/middle meets). I think lay flat books are great for double pagers where you want a seamless meeting in the middle. One of the first ways I ever printed my pages was individual 12x12 pages. I would print them and just slide them into a traditional scrapbook album. I still do that with some of my albums. I use Persnickety Prints to print my individual pages so I do not need to worry about bleed and trimming at all (that's what's nice about Persnickety's individual pages!). 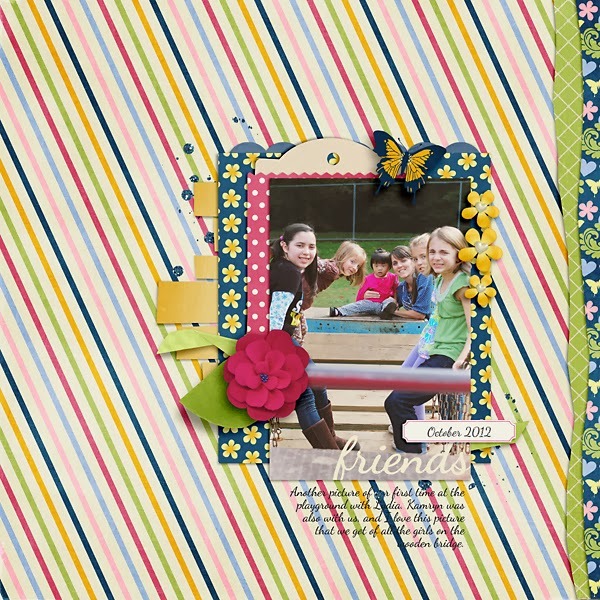 I will lose none of digital scrapbook page in the printing and cutting process. Plus if I want to add a page later (maybe I forgot some pics) it's easy to remove and arrange your pages. Well, maybe not so easy, but it can be done, unlike a printed book. 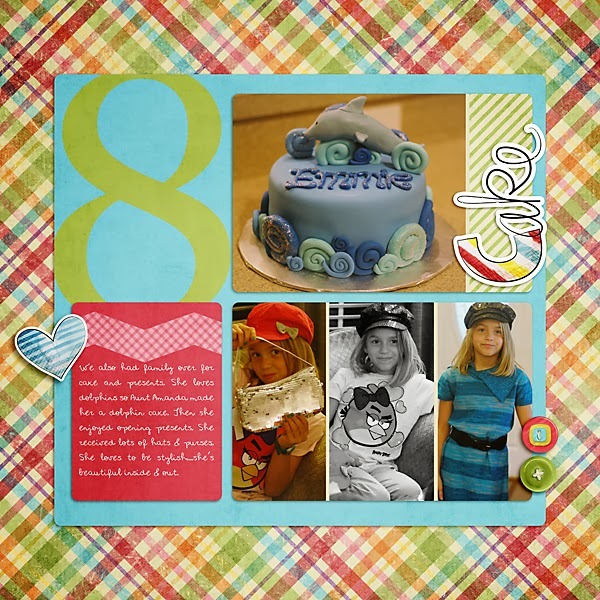 Here are some 8x8 printed pages from Persnickety Prints. And I've never done a full review on my individual 12x12 albums, but here are some pics I took today of some of my "traditional" digital scrapbook albums. No worries about gutter, bleed or trimming. And look at that detail. It almost looks real! The Digi Files has also comprised a great list of Photo Album Reviews. If you are researching what kind of album to print this might be a good place to start. 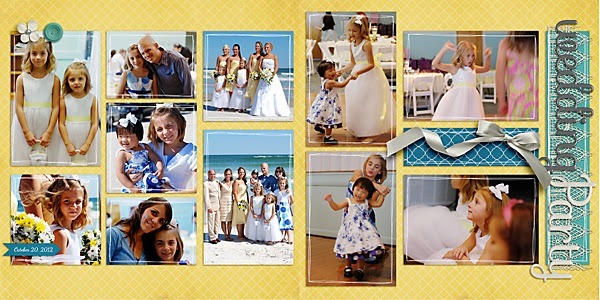 I just learned that Shutterfly now has a lay flat book that can hold over 100 pages. 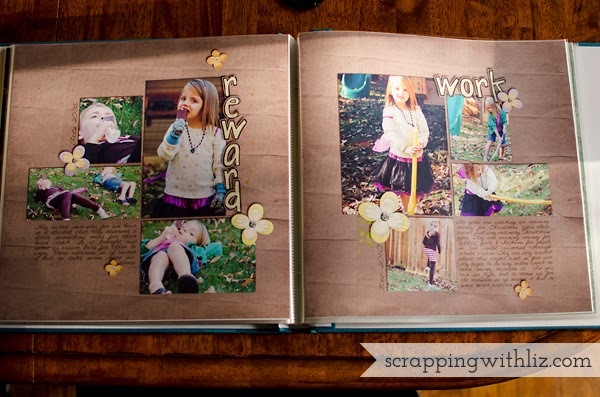 I *might* try this for my 2014 Daily Life Project Album. I think I'll have to start saving my pennies now. I know it will be quite expensive to print it as a lay flat book, but I know it will be worth it in the long run. Since I'm thinking about trying the lay flat book for my 2014 album, I've been setting guides on my 2014 pages to make sure I don't lose any important journaling, titles or photos. Jenn wrote up a little tutorial on how to do that here. I'm also going to be putting together a little video tutorial soon to show you how I'm doing it on my end. Look for that soon! 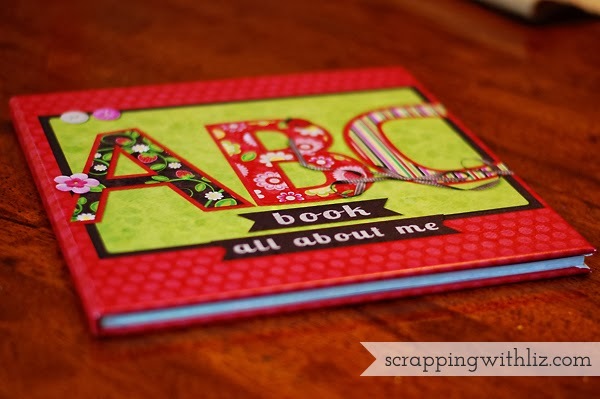 I hope this helps you decide how to print those precious scrapbook pages. If you've never printed them I highly recommend it. My girls just LOVE to look at our albums. It's just so much better than looking at them on a computer screen. There he is! My boy. Isn't he the cutest thing you ever saw? At least I think so. And look at those pictures of him looking at his family. 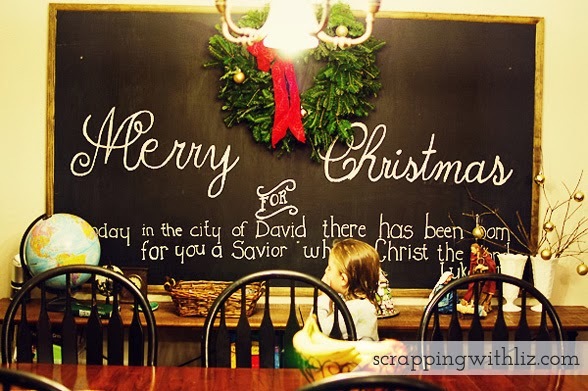 I think I'm going to cry just writing this post. We sent Matthew a package back in December with a few goodies in it along with pictures of us. You can imagine my surprise when I went to open my email last week, and I saw an email from Zhou (our agency guide) with the subject: Package Received. Then a whole bunch of photos started downloading. Talk about being so incredibly happy but so incredibly sad all at the same time. We are coming, Matthew! I was mistaken about when I could share photos. With Lydia, we weren't allowed to share them until we received our LOA (letter of approval), but with Matthew, things are a little different because he was not on the shared list but on the waiting list. All these different lists and acronyms...I have a hard time keeping it straight. Anyway, I confirmed with our agency, and apparently, I could have shared pictures way back when we received our pre-approval which was in August! And I've waited 5 long months to share pics. Oh well, I guess I'm getting good at this whole waiting thing. Also! Our documents are in China. 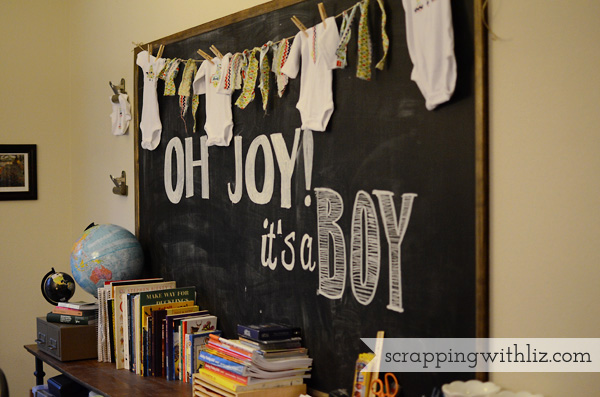 That means we are one HUGE step closer to bringing Matthew home. It's called DTC (documents to China). Now we wait for the all-important LOA. With Lydia, it took 110 days from LID (log in date - when the dossier actually gets logged in in China). I'm hoping and praying for under 30 days with Matthew. Since we only had to update our dossier, and we had pre-approval for him before our updated dossier was sent to China, and he was on the waiting list, and he's a bit older...and, and, and....I'm hoping all those reasons will make for a shorter LOA wait. We'll see. After the LOA there are a few more papers to be filled out and waited upon, but it will mean we are VERY close to traveling to bring this precious boy home. Here are the other pages I've shown you where I blurred out his face. Now you can see that precious little face bright and clear. Click here to read about this page. Well, I've stuck with it for another week, and I'm still loving it! My photos are organized for the week. I have 4 pages scrapped for 2014. I was able to practice with my DSLR. This page went much faster than last we.....I think once I get into a groove I'll be able to scrap these fairly quickly. This week was pretty normal. We got back into our routine of school. We frequently have a pink haired pony join us for school, and Kyla likes to read in all sorts of weird ways. On Thursday night Daddy was gone and the girls put on a “Show and Tell Show” for me, complete with a pretty impressive falling dominoes trick. On Saturday night the girls all watched a movie on Daddy’s kindle while snuggling in bed together. It’s the little things (literally) that excite them! We had so many leftovers in our fridge that we had leftover buffet night. It happens quite often in our house. While some of the foods most definitely don’t go together, the girls love it because there is so much too choose from.....and I love it because 1. I don’t have to cook and 2. We don’t waste any food! The pic of the 3 girls on the bench is at Wal-mart. I was checking out and looked over and that’s what I saw. I snapped that one with my phone. Ashlyn helping me cut out bears for my co-op class. She really is a great helper! 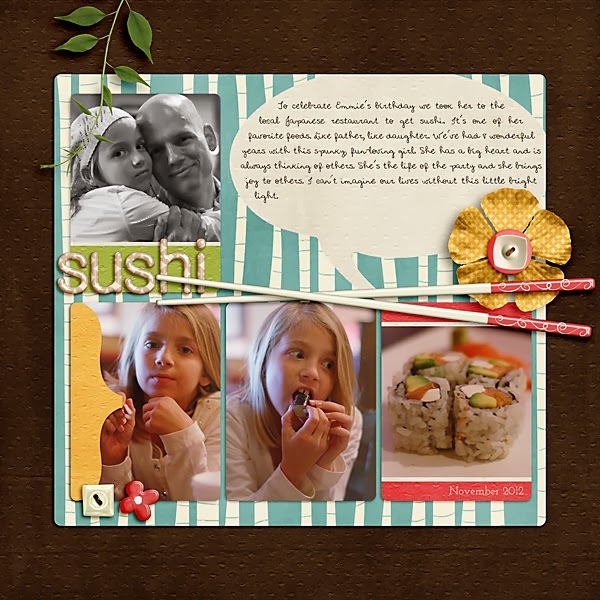 If you are doing this challenge with me remember to keep it simple, journal (even just a little bit) about your photos (it can tell more of the story), and don't stress! 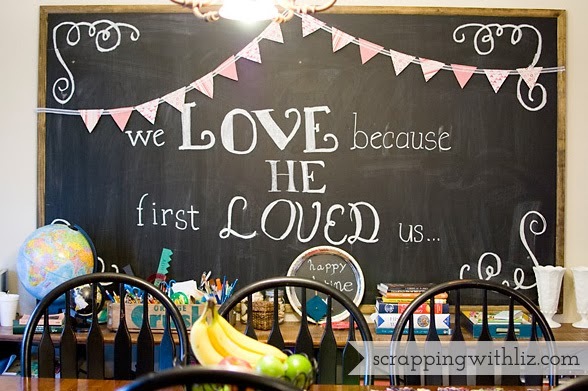 Also, change up the template if you need to...add a photo spot, add a journaling spot, move things around. As you can see I added two journaling spots to the right side of the page. One spot just didn't cut it for all of my chatting! Here's this week's Daily Life Journal Card. 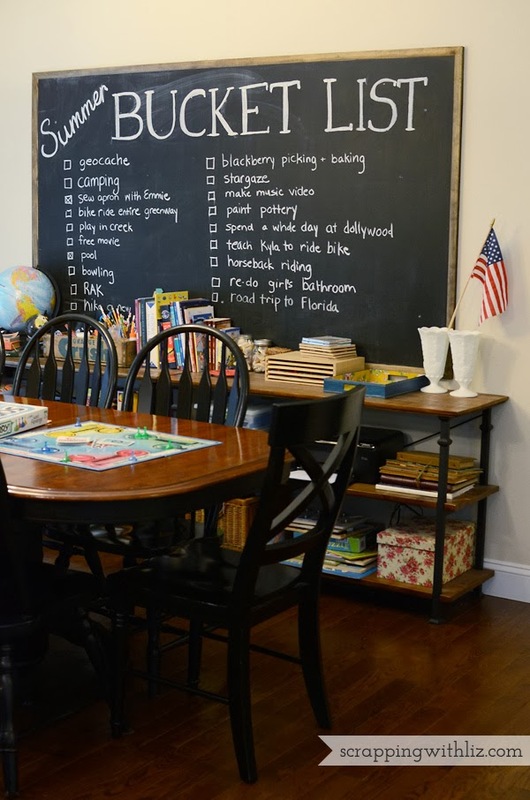 I've also listed some more tips on last week's post...in case you missed it. I have finished the first week of my 2014 challenge. My first reaction is that I LOVE IT! I love that my photos are organized for the week. 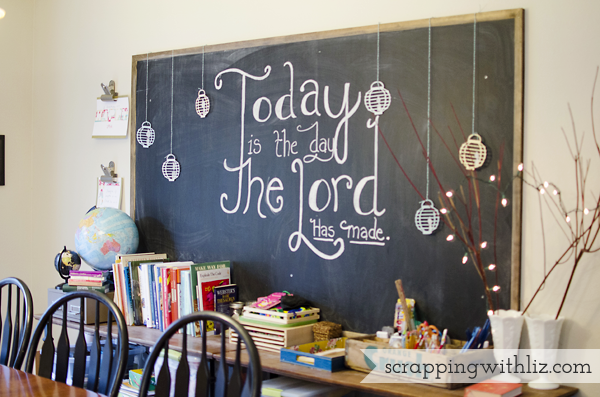 I love that I journaled about this week while it was fresh on my mind. I loved using my DSLR more. 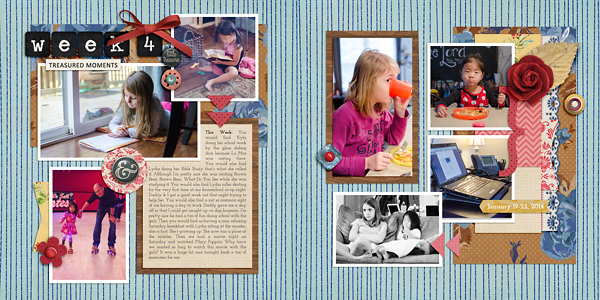 I love that I have two pages done for 2014! 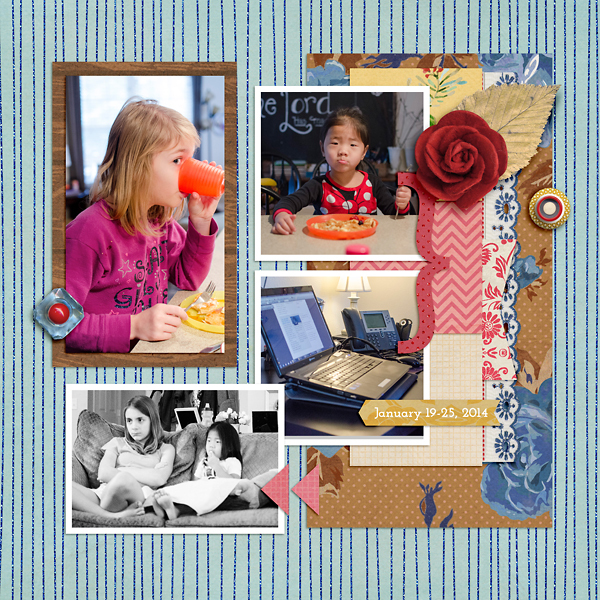 And I love how my page turned out with these templates. It’s the first week of 2014...and boy was it a week to start the year off with. #1. I’ve had very sick kiddos. I‘ll spare you the pictures (actually I didn’t take any). We ate lots of soup with lots of garlic in it. Yum! #2 We had some long lost friends from out of town come for dinner...they braved my kids’ sickness. We had a good time and I haven‘t heard of their kids getting sick. Thankfully. #3 We had our first snow of the year. Well, the first snow that we were here for. It wasn’t much but the kids were up and ready to play in it at 7:45 in the morning! #4 We spent a lot of time in the kitchen. That picture of Kyla is her at breakfast contemplating something very important, as we often do at breakfast time. Lydia is just chillaxin on the counter while I’m whipping something up. #5 Later on that night (after the first snow) Daddy decided he wanted to make a fire. The kids got bundled up, and I brought out some marshmallows to roast. Oh yah, Emmie went to spend the night at a friends house...so you won’t find her in any of those pics. After getting nice and cold (and a little warm by the fire) we came in and had homemade hot chocolate. Yum! Yes, Lydia sipped hers out of a sippy cup. No, I’m not editing that spot out of her leotard. Why is she wearing a leotard? I don’t know. Actually, I’m pretty sure she wore it underneath her snowsuit. 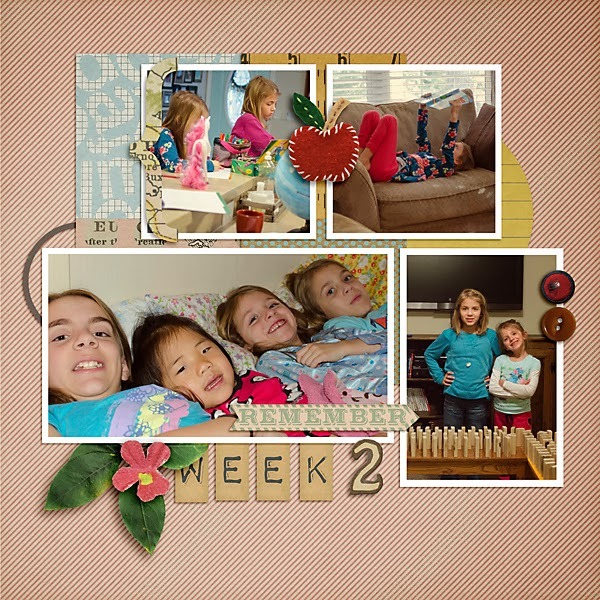 Our first week of 2014 was definitely filled with some memorable moments. 1. Keep my camera out all the time. 2. Scrap on the same night every week. This year it's going to be Saturday night since it's when my week is ending (that's how I've decided to do it this year). Obviously, this might not work every week, but if I don't get it done on Saturday I usually have some quiet time on Sunday afternoon to scrap, and that's when I'll get caught up. 3. Simple. Try to keep my page simple. That includes not worrying about tweaking all the shadows so they look just right. It also means not adding a bunch of elements just because I like them. 4. Use what's in my stash. I tend to spend WAY too much time shopping and trying to figure out what new kit I might want to use for my pages. I'll save a lot of time if I just sit down and use a kit I already have. If I do have a hankering for something new I'll try to do some shopping earlier in the week and have it downloaded and ready to go for Saturday night. 5. If I don't get my pages scrapped and I fall behind, I'm at least going to organize my photos by week and keep some journaling about our week. I'm giving myself some wiggle room. We have some major events coming up, and I might not be able to keep up with it all. But if I can keep it organized and journaled about, it will be easy to come back to. 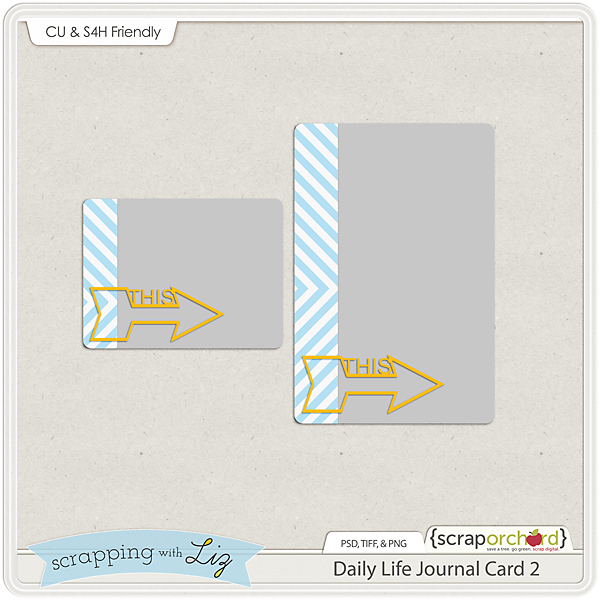 You might have noticed a little journal card type addition to my page. 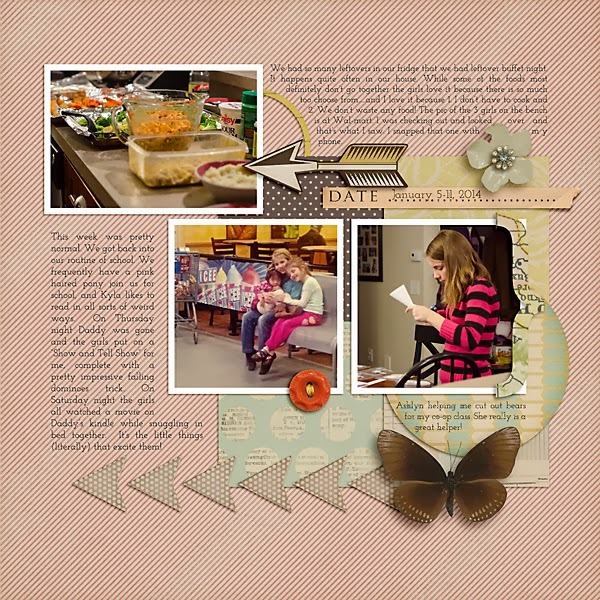 I'm going to be creating a journal card each week and sharing it with you all here in my blog. 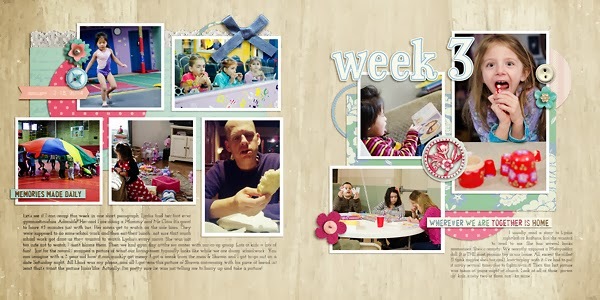 My plan is to have a new one for you each week when I show you my Daily Life page. It worked great with my Daily Life Template. Hope you enjoy! And if you are joining me on my Daily Life challenge please share your pages below!